· Baltic Amber is genuine amber that is carved into jewelry. Each piece of Baltic Amber is unique, even within pairs of jewelry. 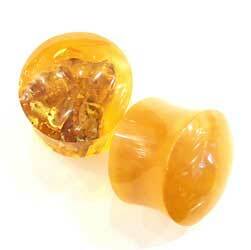 · Reconstituted Amber is amber that is melted down and reformed into jewelry. Reconstituted Amber is more uniformed in appearance than Baltic Amber.